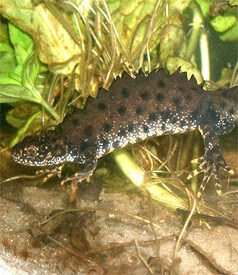 Great Crested Newts (GCN) are protected under the Wildlife & Countryside Act 1981 (as amended), it is also listed under Schedule 2 of the Conservation of Habitats and Species Regulations 2010, making it a European protected species. » Assess the presence or likely absence of GCN within the site and its local environs. » If GCN are found to be present on the site, give an indication of the population size of each species present. » Provide recommendations for further ecological survey work and mitigation where assessed as necessary and suggest potential enhancements. Please note: all protected species surveys and mitigation are subject to seasonal constraints according the each species behavior and biology. To get advice on timings of surveys give us a call for an informal chat to see how we can help. We have experience in undertaking surveys for all British animals for large developments local authorities and small developments in the UK particularly in London and the south east of England. We're friendly, professional and always happy to provide a tailored quote free of charge so please do not hesitate to get in touch if we can assist you. Our ecology surveys, ecological surveys and ecological surveyor (ecology surveyor) practice throughout London and the South UK including places like Hampshire, East Sussex, West Sussex, Surrey, Berkshire, Kent, Essex, Hertfordshire, Bucks, Ilse of Wight and Crawley, M4 Corridor, Reading, Oxted, Hastings, Stratford, Haslemere, Epsom, Seaford, Staines and more! 23/04/19.